General strain, or ‘wear and tear’. 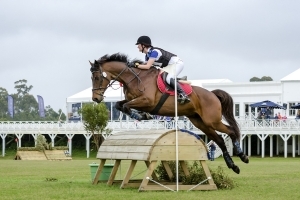 Horses in hard work, particularly those competing regularly in high levels, will always take some strain regardless of how well conditioned they are. If the horse is not correctly maintained with regular treatment and therapy to ascertain its soundness, it will eventually begin to feel some degree of pain from the work. Poor riding. A rider who sits skew – as so many of us do – can cause the horse’s back to twist, or cause the saddle to sit incorrectly across the spine. 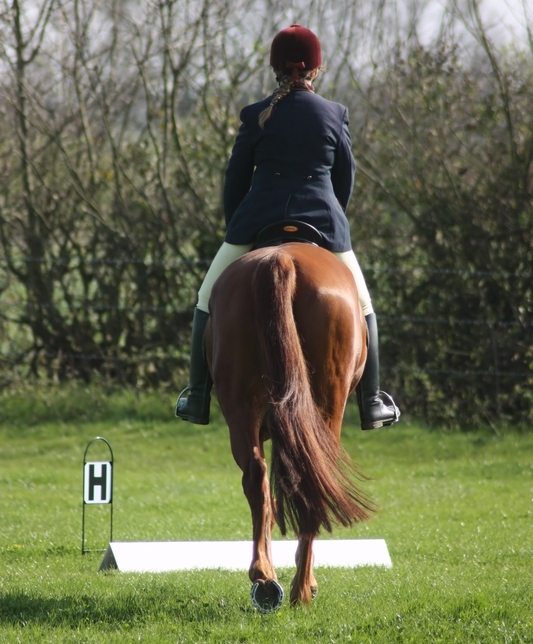 This puts more pressure on one side of a horse’s back, forcing it to compensate and causing injury. Likewise, a rider with poor balance can compensate by balancing on the reins, thus causing the horse to hollow and use itself incorrectly. 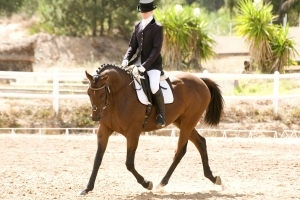 A rider who is loose and bounces in the saddle can cause bruising to the back, and a rider who sits too heavily with weight positioned too far forward or back can cause incorrect muscle use. 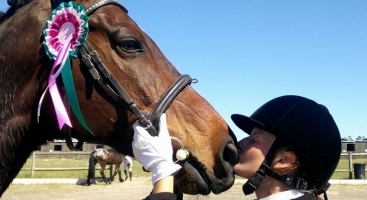 All of these riding problems – and more – contribute hugely to the discomfort of the horse. Mouth pain, or ‘bridle lameness’. If a horse has a sore mouth - usually caused by poor riding, a badly fitting bridle, poorly maintained teeth, or a bitting problem – this causes the horse to try to escape the pain through hollowing his back, causing more pain through compensation. Lameness. Like with mouth pain, a horse compensating for soreness in the hooves or legs will put extra strain on his back. Conditioning. If a horse is unfit or under-conditioned for its level of work will certainly suffer back injury, as the muscles won’t be strong enough to accommodate the work, and will take great strain. This is particularly common in competition horses coming back into work, or horses recovering from injury. This strain is the reason why it is so important to have a properly constructed fitness program for a horse that has lost condition. Poor condition can also be caused by an inconsistent schedule or poor feeding regime. 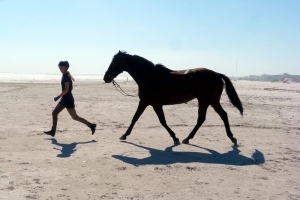 The bottom line is that the horse must be cared for and exercised appropriately for its level of work to avoid injury. And, of course, accidents. 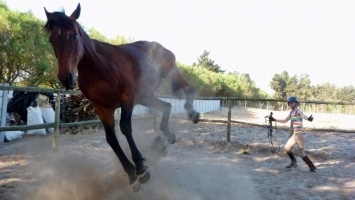 If a horse jumps awkwardly, falls in a hole or gets cast in the stable, any number of injuries become possible as a result. Knowing these causes of back pain can help a rider try to avoid it, but with a horse in hard work, strain will always be inevitable. 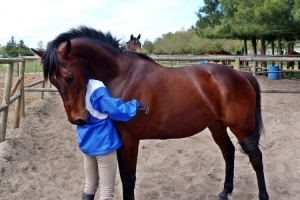 That is why the rider must be vigilant, and always keep a sharp eye out for signs of back pain in their horse, so that they might detect and treat the problem before it exacerbates. The following article looks more closely at how to identify back pain in horses. 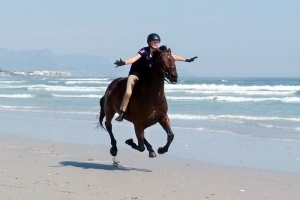 One thing that always irritates me is riders who ride heavy in the saddle. I'll be out for a full day's hunting and have seen several girls who just thump up and down on their horse's back, and I sit there wondering how long it'll be before that horse decides it's all too much? I think on a day's hunting, no matter how tired you get, you owe it to your horse and his back to ride as lightly as possible, after all, he's trying his best to carry you all day. I'm really enjoying these articles, I especially love your ones about anatomy/ tack, they're really interesting.